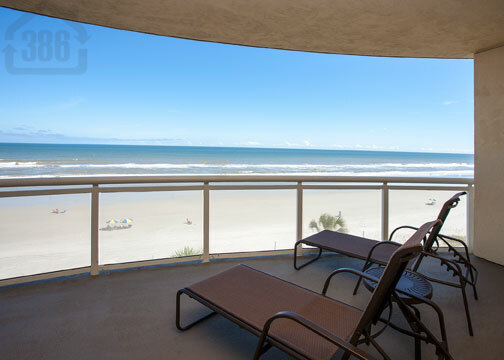 Kevin Kling continues his dominance in the Daytona Beach Shores condo market as he sells another ultra-luxurious Ocean Vistas condo. Unit #405 offers two bedrooms, two bathrooms and nearly 2,400 square feet of living space. This breathtaking condo will provide the owner brilliant beach views from the large balconies and has all the fine appointments inside that you've come to expect from an Ocean Vistas condo. At Ocean Vistas, residents enjoy a convenient and carefree lifestyle bolstered by an oceanfront fitness facility, sultry sauna, hot tub, & heated pool, as well as high speed elevators, controlled access, and secure, underground parking. Call Kevin today at (386)527-8577 if you are considering buying or selling a Daytona Beach Shores condo.